Jose Mourinho believes the embarrassment at letting Newcastle United down will hurt Alan Pardew more than any punishment for headbutting David Meyler. Next week Pardew will plead his case after being charged with improper conduct on Thursday. 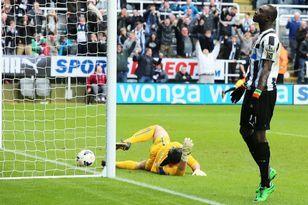 It follows a touchline incident with Meyler in Newcastle’s 4-1 win over Hull City last weekend. Pardew prevented the former Sunderland midfielder from taking a quick throw-in and when the Irishman angrily pushed him, headbutted the player and was sent to the stands. He apologised after the game. Pardew, whose Magpies have a weekend off because of Everton’s FA Cup involvement, has been hit with a £100,000 fine by his club and could face a stadium ban of ten matches. Yet Chelsea manager Mourinho, a friend of Pardew’s and no stranger to touchline incidents, thinks that will be the least of his concerns. He said: “In my case, when I had situations in the dugouts, the biggest punishment is not the money or the matches you’re outside but you’re recognising you made a mistake. “Alan will have the economic punishment, the suspension from the dug-out, plus the self-blame for the mistake he made. Some, including club legend Alan Shearer and predecessor Graeme Souness, called for Pardew to be sacked for the incident, but a poll by The Journal’s sister paper the Chronicle suggests he has the support of the majority of fans. Mourinho added: “I spoke with Alan two hours after the incident. “He knows he made a mistake and knows he has to pay for the mistake with punishment. “The manager should have the freedom to come out and speak with the players, to walk in the technical areas. The problem is human nature and human nature is open to mistakes. Sunderland coach Gustavo Poyet, who will be in the same technical area tomorrow, believes the designs of English stadia do not help, arguing opposing dugouts are too close. He said: “I always thought having the benches too close together was a bad idea and having the fourth official between the two benches is a terrible idea. “They get everything from us but are responsible for nothing. “If the fourth official was on the other side, what are you going to do? You are not going to run around the pitch to tell him whatever. “If the opposite bench was in the corner, you’re not going to shout at each other but somebody decides in England the benches are together, it looks better and they are still there. “If you go to other countries sometimes the benches are further apart. I think that helps. “We are not going to rebuild the stadia but I said it to the authorities. I think it would be beneficial to the referees. “You are in Liverpool and are sitting down and if you say something to a player the other manager is sitting next to you! He’s half a yard so you have to be secretive. “Normally you should not have that problem. Poyet has a plan to keep his staff out of controversy, however. He added: “With my staff we have a rule - we don’t get involved with the opposition bench. We ask them to leave us alone. “They can do whatever they like – ask for a yellow card, red card, jump up and down and talk. I don’t care, it’s their problem but when I do my bit leave me alone because hypocrites, I’m not having them. Everyone complains and everyone asks for something. “I made the decision because I know myself and (assistant Mauricio) Tarrico and Charlie (Oatway, first team coach)! The Agenda: Are football's bosses their own worst enemies?